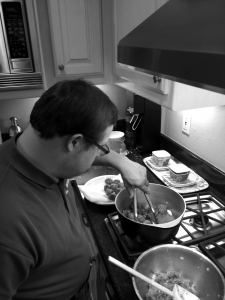 DFWChild/Articles/Special Needs/Is Your Child with Disabilities Ready to Live Independently? The future often looks nebulous for children like Riley. For parents, just the thought of planning for their kid’s transition to adulthood can inspire a panic attack. Will they be able to live independently? Where will they live once we’re gone? Who will take care of them? So many questions and often so few answers—or, as in the Niesens’ case, only one answer that seems possible: Caring for their child at home for the rest of their lives. But almost 15 years after Riley’s diagnosis, his future looks much different than his mom originally envisioned. He will soon move into Daymark Living, a new residential community in Waxahachie for adults with special needs. Such a community is not an option for every family, and deciding a child’s future, and preparing them for it, is not easy. 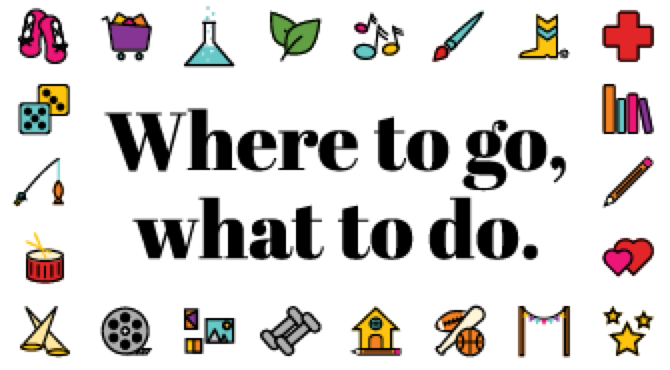 But when it comes to that ever-pressing question—What’s next?—parents should feel reassured that there are so many more living and employment options available to adults with special needs than existed when Niesen first started thinking about her son’s future. Riley attended the special education program through Plano Independent School District until, as Niesen puts it, “middle school happened.” During his first year, he acted out to get attention and had trouble with friends, among other problems. To the Niesens, it was obvious he wasn’t going to be successful in a typical middle school situation. They moved him to the Notre Dame School of Dallas, a school for children of all ages with intellectual disabilities. During Riley’s last two years at Notre Dame, the Niesens began to see him gain more independence, even as they gained more confidence in his abilities. He could be dropped off somewhere, like the bowling alley, and they could trust him not to wander off. Slowly but surely, he learned to use Uber. The Niesens began to change their perspective on what the future might hold for their son. At the same time, they heard about John Poston and his brainchild, Daymark Living. The idea for the residential community was inspired by Poston’s 23-year-old son, Michael, who has Down syndrome. As Poston and his wife began thinking about Michael’s future, they dreamt big on paper—and now Daymark is opening its gates. As teens transition into adulthood, they need a place to make mistakes safely. Poston explains that Daymark is that place and the staff is their safety net. The community has already received applications from families in New York, Florida and California as well as families like the Niesens here in North Texas. After visiting the community, it’s easy to see why they are getting so many inquiries. On the outside, Daymark looks like any other planned residential community. The decor is peaceful and modern, and spaces are filled with one-of-a-kind art created by people who have a special connection to the Poston family and their vision for Daymark. The streets are lined with two-, three- and four-bedroom residences. Amenities include a resort-style pool, restaurant and game room. Because residents will have a varied level of skill deficits, Daymark has classrooms where community members will learn how to manage their time, how to take care of their personal finances and other skills they need in order to live more independently. In an industrial-size kitchen, residents can learn to cook (and even work in the on-site restaurant). The coaches on staff will also conduct in-home training, helping residents with laundry, cleaning and other necessary daily living skills. The Niesens had the opportunity to meet with Poston and his staff early on when Daymark was still an idea on paper. After seeing the blueprints and hearing Poston’s vision, they were sold. By Riley’s last year at Notre Dame, he was already enrolled at Daymark. He’ll be the community’s fourth resident once Daymark gets its permit from the city. Meanwhile, his parents have recently moved from Plano to Waxahachie to be closer to their son’s new home. On the other hand, there’s Jan Underwood. For the Fort Worth mom of three, independence wasn’t a dream or a question. It was an assumption she made for her middle child, Austin, when he was born, and that’s about when she began purposefully helping him attain the skills he would need for independent living. She acknowledges that she knew it wasn’t going to be easy—Austin has Down syndrome and attention deficit hyperactivity disorder (ADHD). But talk to Underwood for longer than five minutes and you’ll see she has this positive, determined quality about her. She put him in Mother’s Day Out and church preschools along with his brother and sister. She explains that she also wanted to ensure that Austin went to school with the people who would be his future employers. He attended Ridglea Hills Elementary School, Como Montessori and Monnig Middle School in Fort Worth, switching between regular and special education classes and focusing mostly on learning the social skills needed to function in everyday life. Austin clearly shared his mother’s goal of independence: After graduating from Aledo High School at age 19, he immediately wanted to go away to college. He enrolled in the Special Services Occupational Training Program at Eastern New Mexico University in Roswell. There were two requirements for attending the program: being able to wake up to your own alarm and being able to do your own laundry—two tasks that are not always easy for people with intellectual and developmental disabilities (IDD), but Austin had been taught to do both. He graduated with a special certification as a prep chef and within two weeks of being home from school told his mom he wanted his own apartment. For many families, whether to let their child live independently or even in a residential community feels like an impossible decision to make. How can parents know if they are making the right choice for their child? Jessica Bowers, owner of Waypoint Behavioral Health Solutions, can relate. Bowers has a master’s degree in special education and is a board-certified behavior analyst. She and her staff work with local children with autism, ADHD and other developmental and behavioral disorders to gain those independent living skills that come so naturally to typically developing children. She also has an 18-year-old son, Ryan, who has autism and lives at home. When Ryan was 14, the Bowers family thought there was no way Ryan would ever be able to live independently or in a residential facility, so they purchased a house with a garage apartment. The arrangement would let him get as close to living on his own as they thought possible. Still, their perspective has become slightly more optimistic. Ryan is now driving, which was a huge deal for him, Bowers explains. They also are working on building some basic cooking skills. Bowers constantly juggles the dueling perspectives of mother and therapist. As a mom, she knows it’s easy to underestimate children and just want to protect them. But as a therapist, Bowers knows the importance of continuing to push children, within their limits, to work toward becoming more independent. And when the question of living in or outside the home arises, it’s important to seek the opinions of those who spend the most time with the child—their teachers, therapists and physicians, for example. Bowers admits that while much of the decision will be based on knowledge, there’s also a certain level of educated guesswork. At Daymark, the application process includes a consultation, an assessment of the skills they require and even a financial consultation to assess the affordability of living there. While Austin functions as a typical adult in many ways, he’s not able to read or drive, two skills that come in handy for independent living. But he’s learned to adapt. Underwood explains that her son is very “savvy.” He recognizes brands, logos and colors and uses those clues to identify things. This skill allows him to order from a menu, shop for groceries, navigate places on foot and choose what to watch on television. Austin, now 40, works at Campisi’s Restaurant in Fort Worth, where he has been a host for five years. He lives within walking distance, though he has also learned to use Uber. 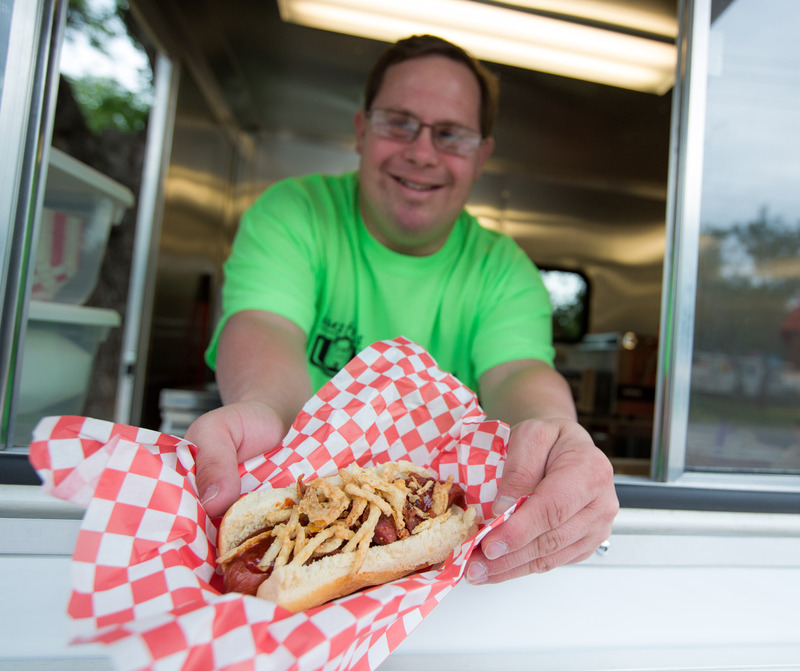 And he co-owns Austin’s Underdawgs, a hot dog food truck, with his mom. The venture is not just a business for the Underwood family. It’s a way to offer other adults like Austin the opportunity to meaningfully contribute to society. While a job can help offset the costs of living and care, families still have to consider the financial implications of their child’s future living situation—especially after the parents are gone. Whether the child lives at home, on their own or in a residential community, each option can place a financial burden on the entire family. Many families approach the financial planning aspect as they would to save money for college tuition. Some invest in a special needs trust, a type of account that allows parents (and others) to set aside money for a child with special needs without jeopardizing their future government benefits. Though they have made their first transitional decision for Riley, they are uncertain about what the long-term future will hold—financially and otherwise. “I can picture him living successfully at Daymark, but right now, I can’t picture him living alone,” says Niesen. In the same breath, she acknowledges that five years ago, she couldn’t imagine him living at a place like Daymark and can’t imagine what the next seven to 10 years will bring. Daymark could be a temporary stop or Riley’s permanent residence. But for right now, a huge weight has been lifted off the family’s shoulders.